Video has emerged showing two California deputies with the Alameda County Sheriff’s Department brutally beating a suspect that was fleeing on foot with batons. The footage, which was released by the San Francisco Public Defender’s Office on Friday, shows the officers chasing the man – identified as Stanislav Petrov – near the corner of Clinton Park and Stevenson Street at about 2:05 a.m. on Thursday in San Francisco’s Mission District. According to Alameda County police Sgt. J.D. Nelson, the man had been sitting in a reportedly stolen vehicle in the parking lot of the Travelers Inn on Foothill Boulevard in San Leandro at about 1:30 a.m. – before he led officers on a 38 minute car chase. Police claim Petrov used the car to ram two patrol cars which injured one deputy, and was then pursued “to Oakland, onto the freeway, over the Bay Bridge and through downtown San Francisco and finally onto Stevenson Street” – where he crashed the car and fled on foot. 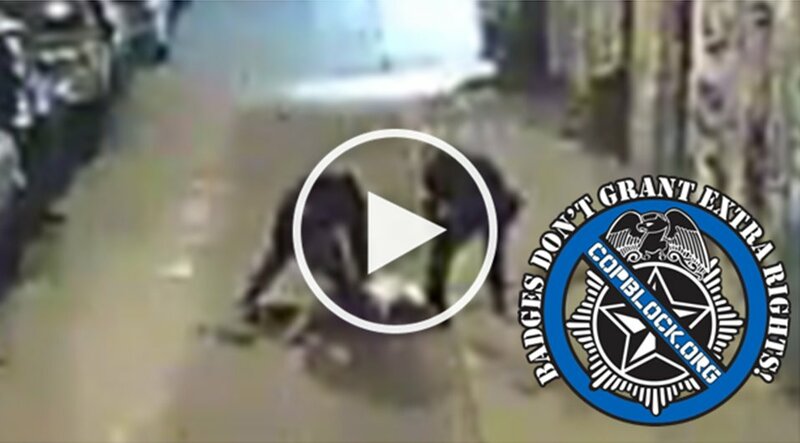 The footage shows the two deputies running the man down – as he appears to be surrendering – before one of them can be seen jumping onto and tackling him to the ground and punching him. The other deputy then joins in by delivering viscous baton blows to Petrov’s head and face as the deputy that first made contact with him takes out his baton as well, and begins striking the suspect as he cries out in agony and pain. Following the beating, Petrov was transported to San Francisco General Hospital for treatment, were he was latter released into the custody of officers and processed into the Santa Rita Jail in Dublin. Police say that the deputies believed Petrov was armed, and that a gun was latter recovered from the scene – but it is not yet clear if it was on the suspect at the time of his arrest. They say an internal investigation was “immediately” launched to review the incident in light of the video. ← American Police Have Killed 1031 People in 317 Days.